This is part of a series we are doing about real people who are working to fight hunger and poverty around the world. This episode focuses on the staff of The Borgen Project, an advocacy group that works to increase awareness and action to alleviate global poverty by engaging with political leaders. 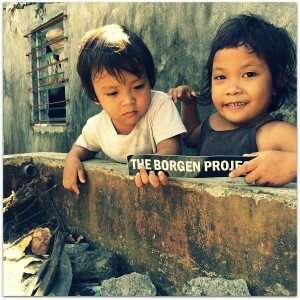 Organization/Biographic Snapshot: The Borgen Project is a non-profit organization fighting to end global poverty by raising awareness and mobilizing political leaders to support key bills. Kim Thelwell (KT) is The Borgen Project’s Political Director. Kelley O’Conor Morgan (KM) is a Public Relations/Marketing Intern for the organization. In 2017, The Borgen Project held 525 Congressional Meetings with their grassroots volunteers from more than 750 cities across the U.S. and mobilized over 61,000 emails to Congress. WHES: What drove you to join The Borgen Project and how long have you worked on global poverty issues? KT: Interestingly, my background is in finance and technology services, but I always felt a pull to work in the nonprofit world. I joined The Borgen Project in 2015 and have enjoyed every minute of the experience, particularly our organization’s innovative (and efficient) approach to alleviating global poverty. KM: I have only been working for The Borgen Project (TBP) for three months, and it has been such a wonderful experience so far. I knew I wanted to get involved in an organization that had a greater purpose for the world, and helped open the eyes of those around me about what we can do to help others in need. I think it is important to be involved in something that you are passionate about, can learn tremendously from, and can be humbled by. WHES: How does The Borgen Project work to fight global poverty and hunger? KM: Many ways. First, TBP urges political leaders in the United States to be aware of global poverty issues, and to support key bills that would work towards ending that. TBP mobilizes anyone around them to email or call Congress to fight for these key bills, as each call/email becomes a tally on a list of bills that Congressmen and women view. The more the tallies, the more attention the bill will receive. Apart from mobilizing people to contact Congress, TBP raises awareness by recruiting volunteers to reach out to local areas with fliers, informational events, and videos that tell TBP’s story as well as the importance of fighting global poverty and how that can also help our own country. WHES: You work in the advocacy space. How do you encourage political leaders and decision-makers to listen? KM: Because political leaders are very busy, it can sometimes be difficult to get your point across in a meaningful way. TBP uses a few strategies. As mentioned before, each call or email to political leaders regarding a key bill translates into a tally mark for that bill on a master list of bills for review. The more calls/emails regarding said bill, the more attention it will get. We try to highlight to interested people that it only takes 20 seconds to call or email Congress. We also facilitate their ability to engage with Congress directly through our website. Volunteers for TBP make videos about TBP or a specific bill, and direct it towards one or more political leaders, even including their name(s) in the video title and sharing it on their social media pages. Volunteers post them to political leaders social media pages (i.e. Twitter, Facebook), and also write personal hand-written letters. When speaking with these leaders, it is important to explain why helping global poverty not only helps countries in need, but also helps the United States as well. KT: This is where the messaging becomes powerful because we are able to showcase that foreign aid is an investment, not a hand out. Programs funded by the International Affairs Budget create jobs here at home by opening new markets to American businesses and protect our national security by fighting terrorism and preventing conflicts before they start. WHES: Why do you focus on political leaders in particular versus other kinds of work in hunger and poverty? KM: TBP believes the United States is the most powerful country in the world, so reaching out to its primary leaders is key to influencing how the United States utilizes its power. TBP wants to raise awareness to anyone it can, but we actively reach out to political leaders to urge them to support key bills that would help end global poverty and help save the world. We also work at the political level to promote funding and continuing support of already-in-place bills. By helping other countries get out of poverty, we increase our own national security, and boost our economy via creating more consumers. KT: We focus our attention at the highest level: influencing policy change to make the biggest possible impact. Here’s an illustration of the effectiveness of this model. •	$5,000: Amount an aid agency needs to build one freshwater well that provides 250 people with clean drinking water. •	$2,000: Amount we need to meet directly with 70 congressional offices and build support for a bill that will provide 100 million people with access to clean drinking water (Water for the World Act). •	Advocacy in a Nutshell: With the amount an aid agency needs to assist hundreds of people, The Borgen Project is able to shape policy that helps millions of people. WHES: How do you measure success? And what do you consider some of your biggest successes? KM: You can see our ‘Success Tracker’ online, actually. We measure how well we are doing as an organization as well as how global poverty as a whole is doing. We measure TBP’s success by keeping track of how many people have visited our website, how many cities have TBP volunteers, how many meetings TBP has had with Congress/Congressional staff, and how many people have applied to work/intern for TBP. We also look at how many bills that TBP advocates for pass. Another measurement is how our funding has helped those living in poverty. Examples include the amount of people treated for Tuberculosis or AIDS, how many vaccines have been given, how many supplies to protect against malaria and other health issues, food aid, and more. We track the success of decreasing global poverty (as a whole) by looking at the number of people living in poverty, starving, without access to education or health care, and those living with preventable health ailments. TBP is proud of its accomplishments. Because of the hard work of its employees and volunteers, acts such as Water for the World Act, Electrify Africa Act, and READ Act have been passed. The Water for the World Act helps to ensure impoverished areas around the world have access to safe drinking water, sanitation and hygiene. The Electrify Africa Act helps millions have access to reliable electricity and power. The READ Act ensures that the United States would prioritize and use its resources to provide quality education in developing countries. WHES: What do you think are the big misconceptions about global poverty in the U.S.? What do you wish more people knew? KM: Most people believe that the United States does enough already, helping other countries takes away from funding our own problems, the United States offers 25% of our foreign budget to helping global poverty, or that they do not have a voice. These are all false. First, the United States does not do enough at all. The United States has the unique opportunity to end global poverty by itself. 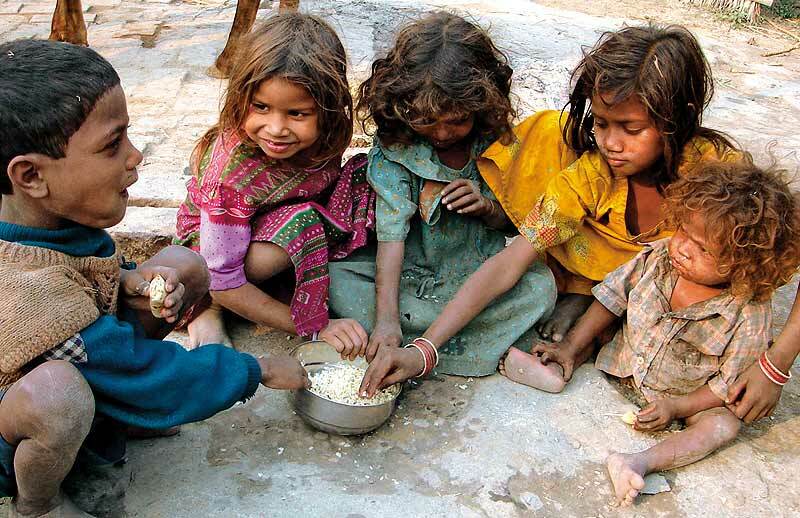 It has been estimated that $30 billion per year could end global poverty. The United States spends close to $700 billion every year on its military. Even if we could shift $30 billion of that $700 billion towards global poverty, the United States would still have the most expensive and powerful military on the planet. With that being said, the United States definitely has more to give. The UN set a goal to contribute 0.7% of foreign budget towards foreign affairs and aiding global poverty. Compared to other developed nations in the UN goal, the United States contributes less than 0.7%, and ranks among the worst regarding amount given. Many people believe, and I was one of them, that the more we give to other countries, the less we have to use for our own. A commonly held belief is that we have homelessness and poverty in the United States, and that we shouldn’t have to help other countries before we help our people. But this isn’t true! There are two separate funds: domestic, and foreign. Domestic funding is used for issues within the United States, and foreign funding is used for things such as global poverty. The best part is that these two funds have nothing to do with each other. Spending more in one fund does not mean we have to spend less in the other. Lastly, I believe many people don’t realize how much of an impact they can make by giving even $1 to global poverty. And if not money, give 20 seconds of their time to email/call Congress to ask them to support a key bill. WHES: We see that you have some resources for teachers who want to discuss these issues with their students. What is your best advice for educators who wish to talk to young people about global poverty issues? KM: TBP offers curriculum designed for four different age groups: K-2nd grade, 3rd-5th grade, 6th-8th grade, and 9-12th grade. All of these curriculum help to familiarize the students with issues of global poverty and what can be done to help, according to their level of understanding. My advice is to approach these issues without a stance, but rather as an objective regulator in a discussion. Or even to allow students to find their own opinions by assigning research on what are pros and cons to certain issues. I also think it is important not to overwhelm kids about the issues of global poverty if it is not something their age could typically handle, emotionally. However, touching on the topic is definitely something that every student should have access to, and diving into the details should come with age, education, and readiness. WHES: So we also have many younger readers and we ask this question in all our interviews: What is your best piece of advice for students and young people who want to fight poverty and hunger? KM: Anyone can help. And helping can be at any level! Calling or emailing Congress urging them to support a key bill only takes 20 seconds and has a great impact. Donating money, if possible, also helps, no matter how large the donation is. Organizations such as TBP are always open to volunteers as well. Volunteers may spend time raising awareness, fundraising, posting on social media, or meeting directly with Congress. There are endless possibilities and ways to help fight global poverty, but it is easy to start with getting familiar with the issue. TBP’s website has a lot of awesome information about how to get involved and why it is so important. KT: Don’t worry about your age. Some of our most successful advocates have actually been high school students who have gone on to raise huge amounts (over $1,000 each) on behalf of the world’s poor, mobilize their friends and families to get involved in the cause, and lobby their Congressional Leaders to support key poverty reduction legislation. The best part about getting involved — regardless of your age — is that you don’t need to be an expert on any of these topics. All you need is passion and the ability to communicate that as a constituent. WHES: What’s next for The Borgen Project? Are there any big issues or projects you are working on right now? KM: Personally, I am working on hosting a fundraising/informational garage sale with a percentage of the proceeds going towards helping TBP aid global poverty. I have also started a campaign asking people to spare 1 cup of coffee (of $5), and instead, donate that money to a child in need at borgenproject.org/donate. TBP’s main project and goal is to promote continuing support and acknowledgment of global poverty in general. This means fighting for and funding present bills and Acts, as well as getting our voice out there as to how to strive towards ending global poverty via supporting upcoming bills. KT: Building support for a robust International Affairs Budget continues to be a top priority for the organization. In addition, we are also focused on getting the following bills across the finish line: the REACH Act, the BUILD Act, the Protecting Girls’ Access to Education Act, and the Global Food Security Reauthorization Act. WHES: Any parting thoughts for our readers? KM: The world is an amazing but broken place. Although there are important issues everywhere, it is easy to forget how much easier we tend to have it here in the United States. Getting involved in any way will make a huge difference. You could be part of how global poverty gets ended once and for all! Please take a read on TBP’s website or dive into your own research. It is so important for everyone to know what is going on around the world. I believe it makes for a much more well-rounded mind to be familiar with different perspectives. I have been humbled so much by working for TBP.